Can eye contact make you fall in love? Can eye contact make you fall in love? Make your visitors stay on your website by providing them useful content and information. Start collecting leads information via smartly embedded Call To Actions, custom forms and chats. Track the whole interaction of your visitors with your website and find improvement opportunities. 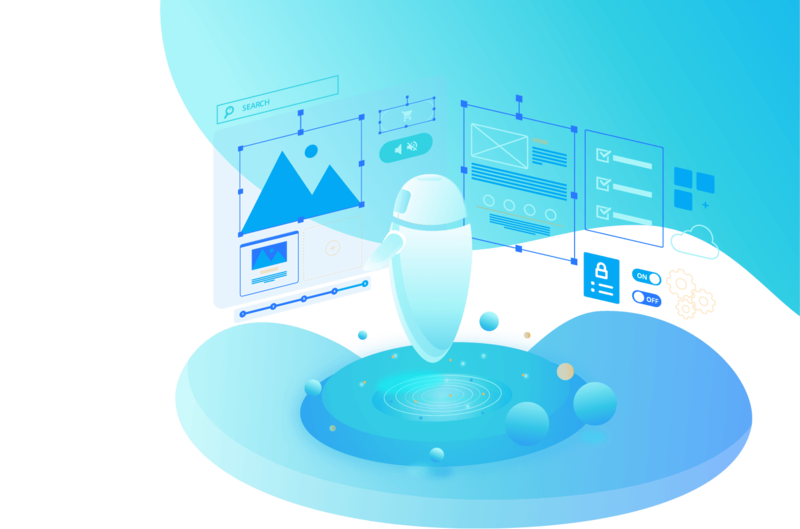 Among a sea of agencies that utilize low cost pre-designed templates, we are one of the few that deliver bespoke, data-driven designs made to impress and convert. Brand focused, conversion optimized, data-driven website design. Website when viewed on a mobile device should be as good or better than its desktop website. Lightning fast loading speed by utilizing best design practices and latest technologies. Maintenance is automatically taken care of with auto-backup and regular security patches. Make your business known and draw visitors to your site. There is no point having a website that does not have any visitor. We provide Search Engine Optimization and Paid Ads Management services to assist you in promoting your website. Search engine optimization service to help you rank high on relevant keywords search result. Search engine marketing service to help you efficiently manage your paid ads campaigns. Our in-house and freelance writers can create compelling content for your website. Our editors can optimize your content, create graphic elements that draw attention. Efficiently convert your website visitors into leads and customers. Web design is not just about looking great. Many web agencies focus on delivering great looking websites. Surely design is vital to your success but your customers won't buy your products just because your website looks beautiful. Carefully thought out and data-driven Call To Action elements laid out throughout the website. Capture leads coming from live chat, email, and form submission to store to CRM system. Integration with chat services and chat bots to engage with your customers in real time. Integrate with data services such as Clearbit to enrich your lead’s data for accurate scoring. Connect the dots between design and business growth. We all know design makes a difference, but how much of the impact can it make? Our team can work with you to setup, track, and analyze the website to look for road blocks and possible improvements. Track each and every interaction of your visitors and integrate with analytics tools. See where your customers scroll to and discover why important sections are missed. Test different designs to see which one works best in converting your visitors into customers. Integration with data services, such as Clearbit, to enrich your lead’s data for accurate scoring.